Which was the cause of the Guelf – Ghibelline conflict? Why do we see an eagle in front of the baptistery? How were houses built during Dante’s time? With Dante Florence Tour you can study your map, spot the starting point and start your art treasure hunt in one of most beautiful and famous city of the world. We will begin our journey from the city center with its historical buildings and monuments. We will travel again through those streets which hosted ateliers, merchants, aristocrats and artists in the Middle Ages. We will find ourselves in front of some of the most famous artworks in the world, so important to Florence and its worldwide reputation and prestige. And we will explore all this through Dante’s words. Challenge other participants, let yourself be lead and immersed in the historical framework and in the interesting stories each clue is linked to. 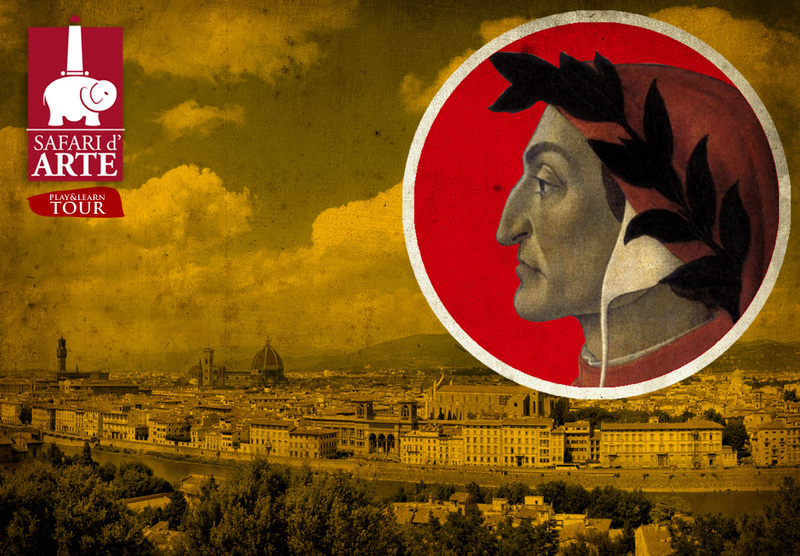 Become a real art treasure hunter with Dante Florence Tour! Test yourself, play the game with your friends and other participants, then take the final quiz! This what you can experience by choosing Safari d’Arte Dante Florence Tour Play&learn!